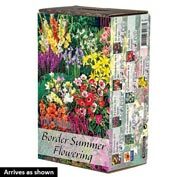 Summer Flowering Border Garden | Gurney's Seed & Nursery Co. 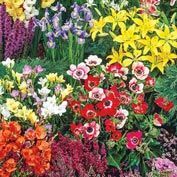 Comments: This premium collection of 100 bulbs provides elegant, season-long blooms perfect for bouquets and more. 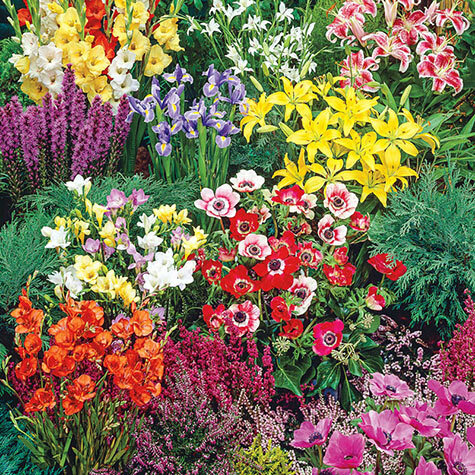 Enjoy a rainbow of colors and textures, each contributing something unique to the mix: gladioli and liatris provide rear height and drama, while peacock gladioli and perfumed lilies fill the center with cheery blooms for mass appeal. Last but not least, fragrant freesias, iris, and French anemone create a punch of low-growing color as the front border.